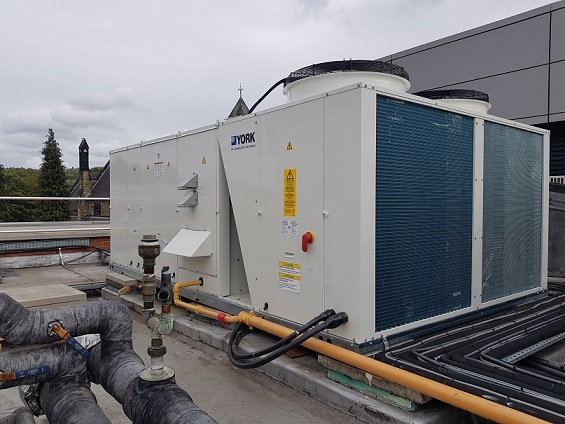 Password Services Air-conditioning Ltd recently completed a contract to replace four York air-con units at a factory in beautiful Sheffield. 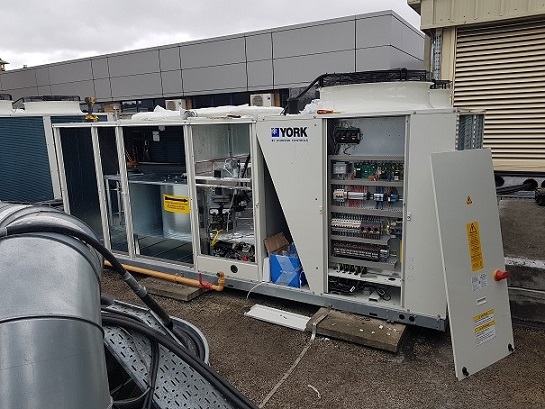 The units were York (Johnson Controls) D2IG300 gas fired package units, and we were hired to replace them with newer, more efficient York (Johnson Controls) AR090-BB units. The existing units were more than 20 years old, meaning they had outlived their healthy lifespan. This is not to say that they weren't working anymore, but they were outdated and inefficient, and came very close to falling below the standards of modern legislation. Furthermore, they contained R22 refrigerant, which was actually banned in 2015 as it is a hydrochlorofluorocarbon (HCFC) that is unacceptably harmful to the environment if it leaks into the atmosphere. The replacement units are much newer and adhere to modern legislation, so it was important for the factory in question to update its equipment for compliance purposes. The schedule for the work was a tight one, as the 4 units in question were required to provide both heating and cooling to the factory's production floor. We were tasked with decommissioning the old existing units - a process that must be undertaken carefully to ensure there is no leakage of the offending chemicals - and installing the new ones over the course of a single weekend. The factory was not in use over the weekend, so we were able to undertake the work without disrupting their processes, but we had to be finished by 7:00 on Monday morning, when the factory needed to be fully operational again. 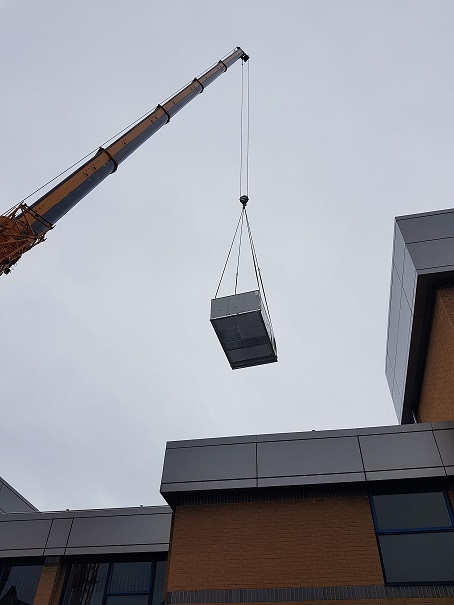 The demands of this contract included handling all the electrics, processing the Delta BMS controls to automate the systems, facilitating and approving the gas and ductwork connections and performing full commissioning of the new units. We had to hire a crane to remove the existing units and move the new ones into position on the roof, and this involved additional traffic management measures while the crane was in operation. Fortunately, Emerson Crane Hire Ltd were able to cover us on both these fronts, enabling us to get all the work done without a hitch. The brand new ARD090-BB units that we installed are fully compliant with the latest ERP regulations. They work with safer R410a refrigerant, along with electronic expansion valves and EC fans for a smarter, more efficient package. Their new system will regulate temperatures in the factory in a way that is in keeping with modern best practice and regulations.